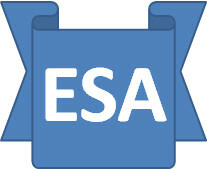 The ESA Saga: Government Gaff of the Day? I do not want to make the same shameful mistake as the Government by tarring the whole of a group with the same unfortunate brush. My comments on HCPs and Decision Makers are based on the ones I have come across – I am sure there are some good ones too. So what starts as a headache diagnosed as a brain tumour stays as a headache. Brilliant. This is the theory, but NOT the practice as neither Atos HCPs nor DWP Decision Makers give this area any attention. · It seems that bending and kneeling is no longer necessary in the “modern workplace” to this element of the WCA has been removed completely. This was initially explained to me by an Atos HCP bending/kneeling to complete my assessment. · When considering “mobilisation” on level ground (no longer just walking) HCPs & DMs can now legitimately “assign” someone to a wheelchair if they think that will get them over the distances involved, EVEN THOUGH THEY MIGHT NOT NORMALLY USE ONE. If this was not disgraceful enough, they can then legitimately ignore the new wheelchair when it comes to negotiating 2 steps.